I’m a 23 yr. old male and I never realized how dumb I was until slightly stepping into the real world. I’m extremely behind at work because I’m awful at math and it gives me terrible anxiety. To go further into detail, I cant focus or retain any information for anything. I forget most things I learn, and most things I find people to easily comprehend is a struggle for me. Its left me very down and depressed at such a young age. I often wonder how I will make it in the real world. I have all these ideas and dreams, but in reality I’m dumber than a box of rocks and would be lucky enough to maintain a basic job someone in high school could do. I mean, most basic jobs I’ve had I was mediocre at best. The only reason I still have a job now is because I have a nice boss who is afraid of firing people. I went to a community college after high school for about a year and some of the courses were too hard for me after awhile and the tutoring didn’t help, so I gave up. It takes me such a long time to understand things, as such as, concepts, instructions (verbal or visual), content, etc. Usually, throughout my educational history, I studied to memorize things, but never really understood what I was learning. And going back to the real world, I don’t even know to function as an adult, as life has so many demands for basic survival to me (bills, insurance, loans, credit, etc.) . I’m not really sure how to deal with it, as well as, remember and do daily obligations required to upkeep basic necessities for life. My mental health is also not doing so well right now, making it even harder to resolve these issues I’m having. There are so many things I need to deal with and its overwhelming when your brain functions as slow and forgetful as mine. If you couldn’t tell, I’m not the most organized person either. I’m usually all over the place, and I feel like its too late for me to get ahead in life. I should have gotten help when I was a lot younger. Is there any assessments/evaluations I can take that may lead me to understand what is going on a bit more? I’m wiling to pay money if it isn’t too costly. Also, is there any tips or resources I can use to help me improve my learning capabilities and retain information? Sorry for the extremely long inquiry! Thanks for the help. 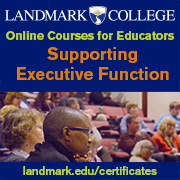 One suggestion is to use assistive technology of apps to help with executive function, including memory. Remember people with LD possess average or above average intelligence. You have a unique way of learning, thinking, processing, and outputting information. The time learning is not what is important but how you learn; the various strategies you are using to learn information and filing the information into your memory. Check into various executive function strategies, tips, and techniques until you find strategies that work for your learning style. There are also apps available to assist with your finances. There is an app finder with free and/or low-cost apps in easy-to-find categories at http://www.gatfl.org/favorite-search.php. If you want an assessment, you might try contacting the closet Vocational Rehabilitation (VR) office to see if VR will conduct an assessment regarding your diagnosis and to see if you might qualify for services. The goal of VR is to get people with disabilities into the workplace and keep them there, so hopefully they can help. Help! I just turned 39 and am struggling to make ends meet. I recently quit my job and am on a disability for PTSD. I was diagnoses with short/long term memory issues, math (dyscaluclia)?, and am trying to take some college classes. The student services told me that there are accommodations that can be made for people such as myself but they need documentation. My doctor is willing to write a letter but I am stuck because he only has known me for the past 3 years and all my learning documentation is from primary school. I am in Tupelo, MS and need to be tested to see what accommodations can be provided. Any help here? I have Medicare for insurance so hopefully the testing can be billed to them and I can start classes soon. Contact your local Vocation Rehabilitation (VR) office. They help people with disabilities find jobs and get accommodations in the workplace, and will sometimes complete an LD assessment as part of their intake process, or help you find an affordable testing resource in your area. Some states’ VR services may also be able to help you pay your tuition, depending on your state’s policies and available funding. You can explore their services and locations at https://ldaamerica.org/rehabilitation-services-administration-rsa/. Otherwise, you can ask your doctor for a referral to an affordable evaluation clinic, or see if your local mental health clinic will accept Medicare for evaluation payment. Cannot afford 500 & up cost.husband trying to get job but they want proof of his reading disability so I found this site. Contact your local Vocation Rehabilitation office. They help people with disabilities find jobs and get accommodations in the workplace, and will sometimes complete an LD assessment as part of their intake process, or help you find an affordable testing resource in your area. 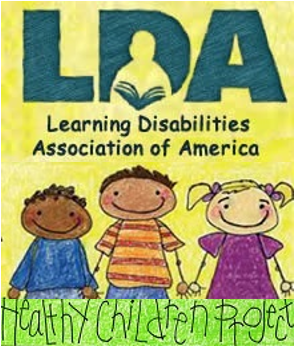 You can explore their services and locations at https://ldaamerica.org/rehabilitation-services-administration-rsa/. Is there a contact for a adult assessment in Fort Lauderdale? You can ask someone at the Vocational Rehabilitation Services local office at (954) 202-3800. They may be able to refer you to a contact. Or try contacting the local adult education center at (754) 321-7600. They may also know a good contact in Fort Lauderdale. Hello, I have been seeking for help from anywhere really. I feel like I have trouble connecting things together in my mind. I have a really hard time paying attention and remembering certain things. I know I struggle with anxiety and I don’t know if it has any connection. It really has prevented me from doing well in school and work. Always seems unable to hold unto anything meaningful. Please help.. 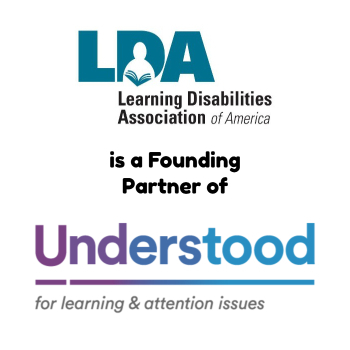 If your difficulty remembering is preventing you from meeting your work, school, or personal goals, you might want to explore the possibility of getting an LD evaluation done to see if there are specific areas of learning you need to accommodate. Otherwise, consider using some strategies to help you remember what you need to. Strategies to remember information vary depending on how the information is presented – oral or written – but many different strategies are available to choose from. • Live Scribe – a digital note-taking device. https://www.livescribe.com/en-us/. For remembering what you read, graphic organizers may again be your most useful tool available. Some people remember what they read better if they read it out loud, or re-say what they read in their own words, or discuss what they’re reading with someone else. Also, apps are available to help with memory. A good app-finder is the Tools for Life App Finder at http://www.gatfl.org/. where can an adult go and get tested for cheap in spring tx ? Contact your local Vocational Rehabilitation Services at (800) 628-5115. If they are unable to provide the service for you, they should be able to refer you to someone who can. I learned in 2015 about dyslexia, then wondered why I never gave up school but always had problems with math and I got very discouraged. Now 28 I still don’t have my Ged and this city has been very limited with help. A doctor from Harcum College did a free assessment and determined I had Dyscalculia. At the time the teachers or could not help with my educational needs but pretended so they can keep their funding so I gave up. A year later I returned because now I’m severely struggling to make ends meet. Now I’m feeling the same because I cant afford help and sadly people in Philadelphia don’t understand so they won’t genuinely help me. What am I to do know? give up on life, put my daughters up for adoption because my issues is whats keeping me in proverty? Definitely do not give up on life and give your daughters away. Since your evaluation was completed in 2015, your documentation should still be current in terms of requesting accommodations on your GED test. Read the information about high school equivalency exams at https://ldaamerica.org/types-of-high-school-equivalency-exams/ You can also read about the GED accommodations request process at https://www.gedtestingservice.com/testers/computer-accommodations Your local adult education program can help you begin the process of requesting accommodations on the GED test, and you also have the right to request classroom accommodations that will help you learn most effectively. All accommodations requests should be supported by the information on your LD evaluation report. Contact your Pennsylvania Department of Education at 717-787-5532 if you do not receive the help you need at your local adult education program. Dee Denis, my son had twitches that shifted around over the years before we learned he had dyslexia. He was so relieved to learn of his diagnosis. The twitching stopped. I think his nervous system was just overwhelmed by the effort he was spending to compensate for his difficulties. The diagnosis was such a gift! Good luck!